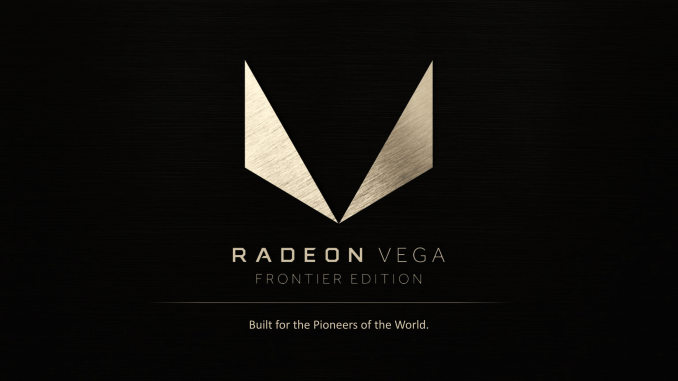 Eagerly anticipated for later this month is the launch of AMD’s first wave of Radeon Vega cards, the first-run workstation/early adopter-focused Radeon Vega Frontier Edition. To date, AMD has not yet said anything further about the launch since last month’s Computex unveil, however it appears that either AMD is opting to quietly release the sure to sell out cards, or some of their retailers have jumped the gun, as listings for both models have begun to show up. 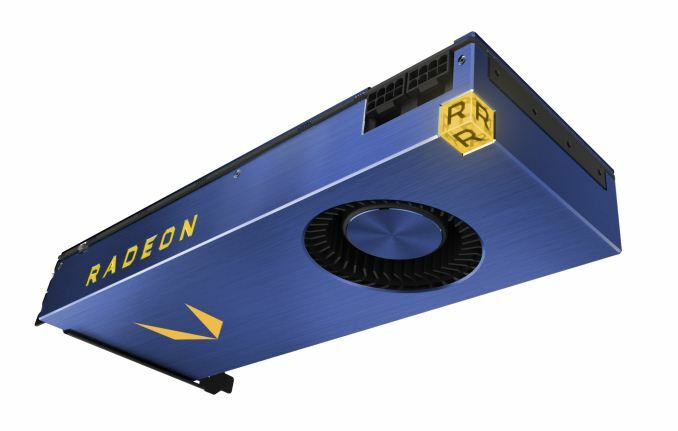 SabrePC, one of the industry’s more specialized retailers whom tends to focus on workstation and server products, has posted listings for both of the Radeon Vega Frontier Edition cards that AMD has previously unveiled. That is, both the air-cooled card and the closed loop liquid cooled model. As you’d expect for these early-run cards, they won’t come cheap: the air cooled model is listed at $1199, while the liquid cooled card is higher still at $1799. As a matter of editorial policy I don’t typically post news about retailer listings; these are often erroneous, or at the very least speculative. However any listings at SabrePC raise an eyebrow as they’re a more straight-laced player and one of the traditional retailers for workstation products. So they’re not known to post faulty listings. Which, coupled with the fact that other workstation retailers are also listing these cards, leads me to believe that this week’s listing isn’t an accident, even if AMD themselves aren't saying more about the product. In any case, we had no real guidance for where AMD would price these cards at prior to today, so I’m admittedly a bit surprised to see the Frontier Edition cards come in as (relatively) cheap as they have. $1199 for the air cooled card is less than similar NVIDIA Quadros (and Radeon Pro cards, for that matter), and is perfectly aligned with NVIDIA Titan Xp pricing. Meanwhile the liquid cooled card is a bit more surprising with its $600 premium. All messaging so far from AMD is that these are a low volume part meant for customers to evaluate Vega as early as possible, so it’ll be interesting to see where AMD goes from here. Meanwhile SabrePC also lists technical specifications for the Frontier Edition cards, with both cards listed at the same memory bandwidth and peak throughput. At 13.1 TFLOPS FP32, this would put the GPU clockspeed at 1.6GHz on the dot, just a smidge higher than AMD’s own presentations last month. Meanwhile 483GB/sec of memory bandwidth puts the memory clock at just under 1.9Gbps. That both cards are listed with the same specifications is a bit surprising, and given the price difference I’m not wholly convinced that Sabre has the right specifications for the cheaper air cooled card – distinctly cheaper cards are usually built around harvested processors – but for now it’s what we have to work with. It may very well be that the listings are correct, but the air cooled card is expected to throttle more often relative to the high-efficiency air cooler. In the meantime I’ve reached out to AMD for more information on these new listings, particularly since AMD's official Frontier Edition release isn't slated to be until the 27th. However quiet nature of these listings does have me wondering if AMD is purposely looking to avoid additional press at the moment – opting to silently get them into the hands of distributors to get out to their professional customers – as the company had made it clear that they’re not aiming these cards at consumers. "gives me hope that we'll see some nicely priced consumer cards"